Turner Sports and CBS Sports’ coverage of the 2019 NCAA Division I Men’s Basketball Championship continues to deliver significant audience increases across all platforms. 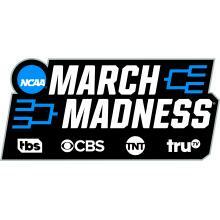 Live game coverage across TBS, CBS, TNT and truTV is averaging a 6.4/15 HH rating/share in the metered markets, the second-highest rating through the first weekend since 1991, when the NCAA Tournament expanded to its current television format (6.7/14 in 2015). The 6.4/15 HH rating, based on Nielsen metered market delivery, is up 8% over last year (5.9/13). NCAA March Madness Live has set all-time records in live streams and live hours of consumption for the NCAA Tournament to date, with both seeing increases of more than 25% through the first full week. Additionally, Sunday’s third game telecast window from 5:15-9:15 PM, ET, highlighted by Duke’s down-to-the-wire victory over UCF, earned an 11.9/24 HH rating/share, up +35% from last year (8.8/18) and ranking as the second-highest rating for that game window in 29 years (12.1/23 in 2017). Official NCAA March Madness social accounts have produced a 56% lift in engagements vs. last year’s Tournament to date through Sunday (Facebook, Twitter and Instagram).